The second volume by His Holiness the Dali Lama in the "Library of Tibet" series shows how to awaken compassion for others and motivates us to better our world. In Between Heaven and Hell, eminent and up-and-coming scholars representing a diversity of backgrounds and viewpoints address the question of non-Muslim salvation: according to the Islamic ethos (however understood), what can be said about the status and fate of non-Muslims? 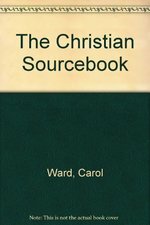 Each of the volume's contributors responds to this often asked "salvation question"-a question with profound theological and practical implications-from different angles: while some limit themselves to its historical dimensions, others approach it as theologians and philosophers, while yet others focus on the relationship between this-worldly relations with Others and next-worldly conceptions of salvation. Collectively and individually, the essays in this volume advance our understanding of Islamic thought and Muslim societies and indeed the discourse on religious diversity. This groundbreaking volume does not conclude with neat resolutions; instead, it offers fascinating expositions, debates, and points of departure for further contemplation. Contributors include Mohammad Hassan Khalil, Tariq Ramadan, William C. Chittick, Farid Esack, Mohammad Fadel, David M. Freidenreich, Marcia Hermansen, Jerusha Lamptey, Bruce B. Lawrence, Muhammad Legenhausen, Yasir Qadhi, A. Kevin Reinhart, Sajjad Rizvi, Reza Shah-Kazemi, and Tim Winter. In recent years, North American and European nations have sought to legally remake religion in other countries through an unprecedented array of international initiatives. Policymakers have rallied around the notion that the fostering of religious freedom, interfaith dialogue, religious tolerance, and protections for religious minorities are the keys to combating persecution and discrimination. Beyond Religious Freedom persuasively argues that these initiatives create the very social tensions and divisions they are meant to overcome. Elizabeth Shakman Hurd looks at three critical channels of state-sponsored intervention: international religious freedom advocacy, development assistance and nation building, and international law. She shows how these initiatives make religious difference a matter of law, resulting in a divide that favors forms of religion authorized by those in power and excludes other ways of being and belonging. 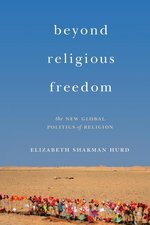 In exploring the dizzying power dynamics and blurred boundaries that characterize relations between "expert religion," "governed religion," and "lived religion," Hurd charts new territory in the study of religion in global politics. A forceful and timely critique of the politics of promoting religious freedom, Beyond Religious Freedom provides new insights into today's most pressing dilemmas of power, difference, and governance. The Bhagavad-Gita has been an essential text of Hindu culture in India since the time of its composition in the first century A.D. One of the great classics of world literature, it has inspired such diverse thinkers as Henry David Thoreau, Mahatma Gandhi, and T.S. Eliot; most recently, it formed the core of Peter Brook's celebrated production of the Mahabharata. Buddhism beyond Borders provides a fresh consideration of Buddhism in the American context. It includes both theoretical discussions and case studies to highlight the tension between studies that locate Buddhist communities in regionally specific areas and those that highlight the translocal nature of an increasingly interconnected world. 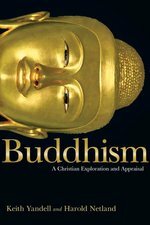 Whereas previous examinations of Buddhism in North America have assumed a more or less essentialized and homogeneous "American" culture, the essays in this volume offer a corrective, situating American Buddhist groups within the framework of globalized cultural flows, while exploring the effects of local forces. Contributors examine regionalism within American Buddhisms, Buddhist identity and ethnicity as academic typologies, Buddhist modernities, the secularization and hybridization of Buddhism, Buddhist fiction, and Buddhist controversies involving the Internet, among other issues. This Very Short Introduction offers readers a superb overview of the teachings of the Buddha, as well as a succinct guide to the integration of Buddhism into daily life. What are the distinctive features of Buddhism? Who was the Buddha, and what are his teachings? Words such as "karma" and "nirvana" have entered our vocabulary, but what do they mean? Damien Keown provides a lively, informative response to these frequently asked questions about Buddhism. As he sheds light into how Buddhist thought developed over the centuries, Keown also highlights how contemporary dilemmas can be faced from a Buddhist perspective. Of all the great religions, Buddhism has focused most intensively on the aspect of religion that we call spirituality. No religion has set a higher value on the states of spiritual insight and liberation, and none has set forth so methodically and with such a wealth of reflection the various paths and disciplines by which such states are reached. This volume, the second in the series, takes up further developments of Buddhism in China, Korea, and Japan, including Ch'an (Zen) and new Buddhist movements. It presents the Chinese realization of enlightenment here and now, and the practical, down-to-earth terms in which the enlightened vision was expressed and enacted. 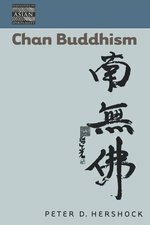 Chan Buddhism has become paradigmatic of Buddhist spirituality. Known in Japan as Zen and in Korea as Son, it is one of the most strikingly iconoclastic spiritual traditions in the world. This succinct and lively work clearly expresses the meaning of Chan as it developed in China more than a thousand years ago and provides useful insights into the distinctive aims and forms of practice associated with the tradition, including its emphasis on the unity of wisdom and practice; the reality of sudden awakening; the importance of meditation; the use of shock tactics; the centrality of the teacher-student relationship; and the celebration of enlightenment narratives, or koans. If we are to believe sensationalist media coverage, Satanism is, at its most benign, the purview of people who dress in black, adorn themselves with skull and pentagram paraphernalia, and listen to heavy metal. At its most sinister, its adherents are worshippers of evil incarnate and engage in violent and perverse secret rituals, the details of which mainstream society imagines with a fascination verging on the obscene. Children of Lucifer debunks these facile characterizations by exploring the historical origins of modern Satanism. Ruben van Luijk traces the movement's development from a concept invented by a Christian church eager to demonize its internal and external competitors to a positive (anti-)religious identity embraced by various groups in the modern West. Van Luijk offers a comprehensive intellectual history of this long and unpredictable trajectory. This story involves Romantic poets, radical anarchists, eccentric esotericists, Decadent writers, and schismatic exorcists, among others, and culminates in the establishment of the Church of Satan by carnival entertainer Anton Szandor LaVey. Yet it is more than a collection of colorful characters and unlikely historical episodes. The emergence of new attitudes toward Satan proves to be intimately linked to the ideological struggle for emancipation that transformed the West and is epitomized by the American and French Revolutions. It is also closely connected to secularization, that other exceptional historical process which saw Western culture spontaneously renounce its traditional gods and enter into a self-imposed state of religious indecision. Children of Lucifer makes the case that the emergence of Satanism presents a shadow history of the evolution of modern civilization as we know it. Offering the most comprehensive account of this history yet written, van Luijk proves that, in the case of Satanism, the facts are much more interesting than the fiction. In this incisive and important volume, Jacques Dupuis offers new insights on the most important issue facing Christian theology today -- giving an account of Christian faith as Christians go more deeply along the road of dialogue and collaboration with the followers of other religious traditions. His task is to square a dogmatic circle. How does one do justice to the Gospel claim that Jesus the Christ is the final and universal savior of all humankind in every age, while also doing justice to the experience that truth, grace, holiness, and power are experienced in other religious traditions? In the first six chapters Dupuis reviews the history of the Western Christian tradition's teaching on other religious Ways through the breakthrough at Vatican Council II. In chapters 7 and 8 he reviews the critical issues of uniqueness of Christ and Christian proposals to account for the mediation of salvation in other religious Ways. He discusses also the relationship between the Reign of God, the Church, and the Religions. In chapter 9 he explores the nature and role of dialogue in a pluralistic society. 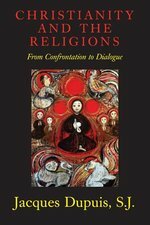 In chapter 10 offers sage reflections on interreligious prayer. Moving through history, views of Mary's role in Christian-Muslim relations have constantly shifted back and forth from bridge to barrier and back again. This book focuses on history, and the use (sometimes polemical, sometimes irenic) of Mary as either a bridge or barrier between Islam and Christianity. It is NOT a comparative theology of Mary in both traditions; rather it focuses on how Mary has functioned within the Christian theology of Islam over time (and to a lesser degree, in the Islamic theology of Christianity). Drawing upon the author's three decades of work in comparative theology, this is a pertinent and comprehensive introduction to the field, which offers a clear guide to the reader, enabling them to engage in comparative study. Draws on examples specific to Hindu-Christian studies to show how it is possible to understand more deeply the wider diversity around us. Few scholars have so shaped the contemporary debate on the relation of early Christianity to early Judaism as E. P. Sanders, and no one has produced a clearer or more distinctive vision of that relationship as it was expressed in the figure of Paul the apostle. 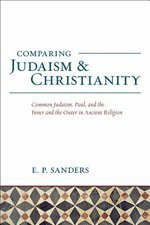 Gathered for the first time within one cover, here Sanders presents formative essays that show the structure of his approach and the insights it produces into Pauls relationship to Judaism and the Jewish law. Why do certain groups and individuals seek to do harm in the name of God? While studies often claim to hold the key to this frightening phenomenon, they seldom account for the crucial role that religious conviction plays, not just in radical Islam, but also in the fundamentalist branches of the world's two other largest religions: Christianity and Hinduism. 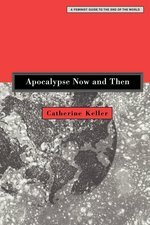 As the first book to examine violent extremism in all three religions together, Competing Fundamentalisms draws on studies in sociology, psychology, culture, and economics--while focusing on the central role of religious ideas--to paint a richer portrait of this potent force in modern life. Clarke argues that the forces of globalization fuel the aggression of these movements to produce the competing feature of religious fundamentalisms, which have more in common with their counterparts across religious lines than they do with the members of their own religions. He proposes ways to deescalate religious violence in the service of peacemaking. 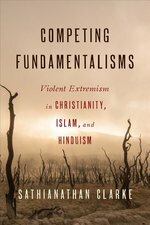 Readers will gain important insights into how violent religious fundamentalism works in the world's three largest religions and learn new strategies for promoting peace in the context of contemporary interreligious conflict. One of the most important works on Confucian religion, ethics, and spirituality. The vibrant nature of the 2500-year-old Confucian tradition is celebrated here. Insights into this spiritual richness regarding topics such as self-cultivation, education, family relationships, social commitment, and political engagement are now available for the first time in English.